We provide those working and volunteering in sport with a FREE monthly magazine called ADDEDTIME which contains a wealth of news, articles, opinion, hints and tips. 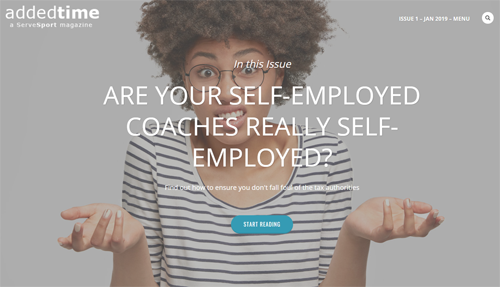 The magazine was launched in January 2019 and aims to provide a regular and invaluable free management resource to anyone involved in running a sports club/coaching business. You can access the magazine online and can subscribe to our email update which will keep you informed as to when each issue is available and previews upcoming content. The available issues are listed on this page – click on an issue image to open in a new browser window. Call us on 01952 201657 if you would like further details on AddedTime.